Hale’s Tale is a fantastic app that ticks all the boxes when it comes to wanting to help young children on their way to becoming proficient readers. It utilises great gameplay which engages and also has a great sense of adventure in it too which will keep young children coming back for more as they gain practice in different aspects of reading. The app itself has clearly been developed by a knowledgeable company not only in games and apps but also importantly in the world of phonics. If you are looking for a fun, interactive app that will encourage young children to continually practice as they learn how to read then this app is a must to have. The developers have produced a clean, engaging app that hits the right buttons on so many levels. 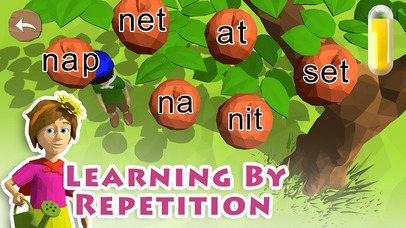 From looking at the developer’s website it is clear to see that they are passionate about young children learning to read through fun and games and not through dry, boring and tedious techniques that so many other apps employ. It is refreshing to see a developer spell this out but probably even rarer to see them actually deliver on this too. At the heart of this is a desire to make learning to read an enjoyable experience and one that turns young children, hopefully, into lifelong readers. Unfortunately, too many apps focus solely on the content of phonics etc and forget that the delivery is so important, especially for young children. However the developers of Hale’s Tale certainly understand this. 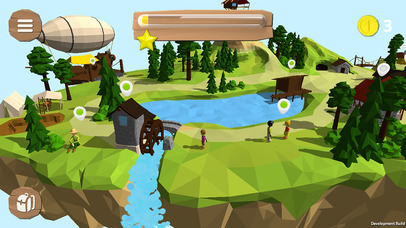 The graphics are very similar to popular Minecraft and this immediately gives quite a warm feeling to the app that makes it feel a lot less like an educational app and more like a fun adventure game. In fact, the more you proceed through the app the less it feels like an app aimed at learning to read, especially from a child’s perspective. The user, on beginning the app, must choose an avatar before they can continue, naming it and giving it suitable clothes to match the user’s desire. They are then thrust into Hale’s world. The idea is for the user to make their way around the archipelago meeting different people and undertaking numerous tasks that earn them rewards in the way of coins. The more they do the more becomes unlocked and just like the best adventure games there are many challenges along the way. All the challenges and tasks that the user undertakes though are linked to learning different sounds and other foundational reading skills. 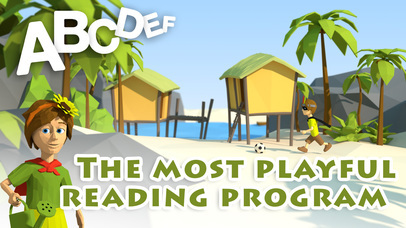 As the user moves through the game the challenges become harder and introduce more sounds, letters and words with each helping to lay the foundations in creating a proficient reader. This isn’t an app that can be used solely as a way to create readers however it makes no claim on this. Instead, the app itself describes the adventure and mini games as helping to strengthen early reading reads such as rhyming, phonemic awareness, letter-sound knowledge and word recognition (amongst others). However, this does mean that whatever method a child is undertaking when it comes to teaching them how to read, this app should go a long way in compounding the knowledge and skills gained through the chosen method but importantly through a fun and exciting way. There is plenty of content within the app and this can be unlocked through purchasing add-ons within the app at £28.99. There is still a lot of content within the app without purchasing the whole content and users will get a lot out of it however, it is certainly value for money as the user is gaining not only a large amount of content but an app that will have users wanting to return to it again and again to work their way through and finish their adventure. Overall, I think this is an extremely well developed app that will have young children learning how to read glued to it. The graphics and gameplay make it a great app but linked with the educational quality that also exist lifts to it another level. "Finally here is a Goldilocks educational app that fits both the child’s and parent’s needs — not dry, not over-stimulating … just right in the middle of playful fun and peaceful learning." 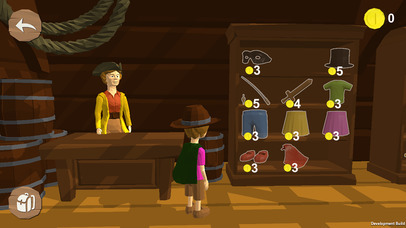 Hale’s Tale is a fun, innovative approach to learning how to read. 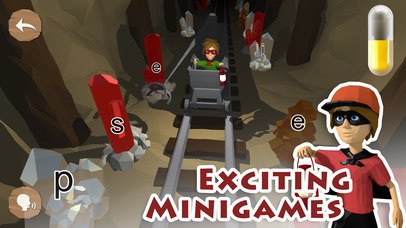 Children embark on an exciting adventure where they play mini games that strengthen their early reading skills. Try Hale’s Tale, where learning to read becomes a playful adventure! -Subscriptions automatically renew monthly unless auto-renew is turned off at least 24-hours before the end of the current period. -Account will be charged for renewal within 24-hours prior to the end of the current period at the rate of your selected plan above. -Subscriptions may be managed by the user and auto-renewal may be turned off by going to the user's Account Settings on the device.